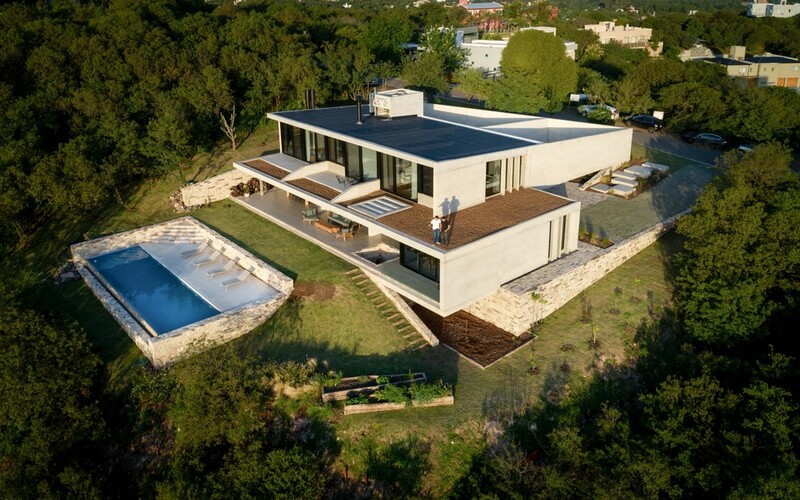 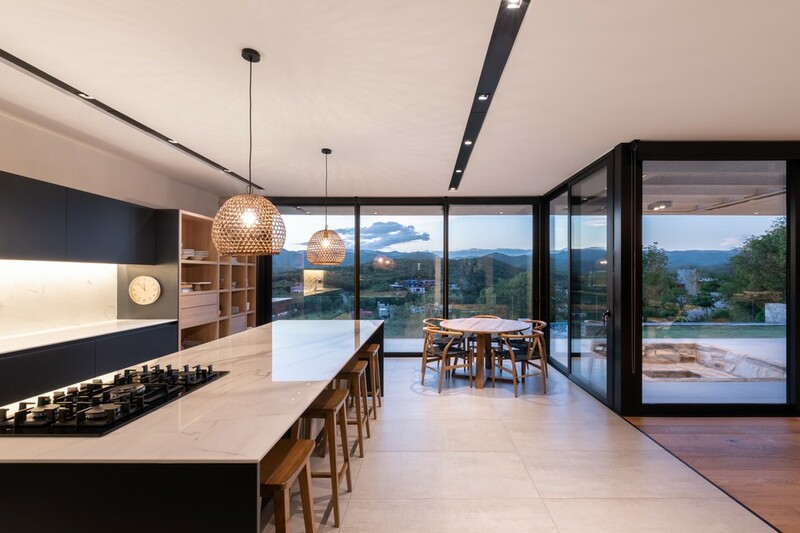 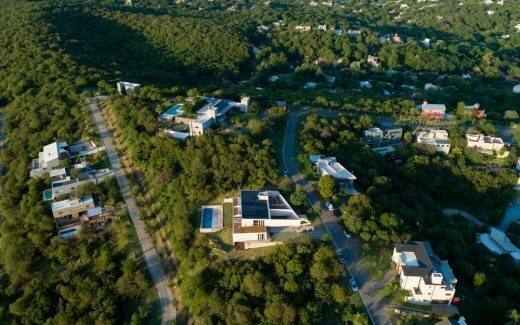 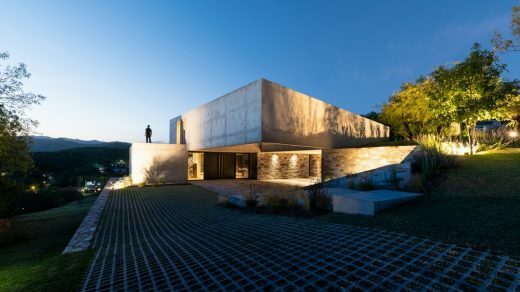 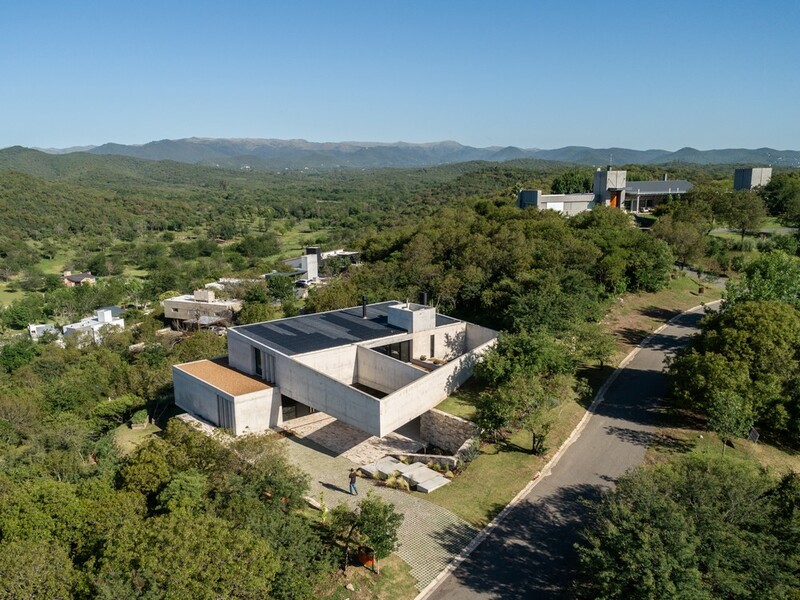 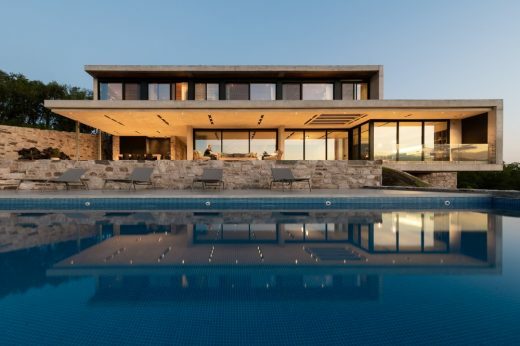 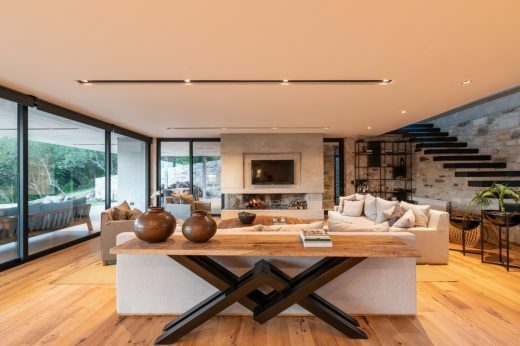 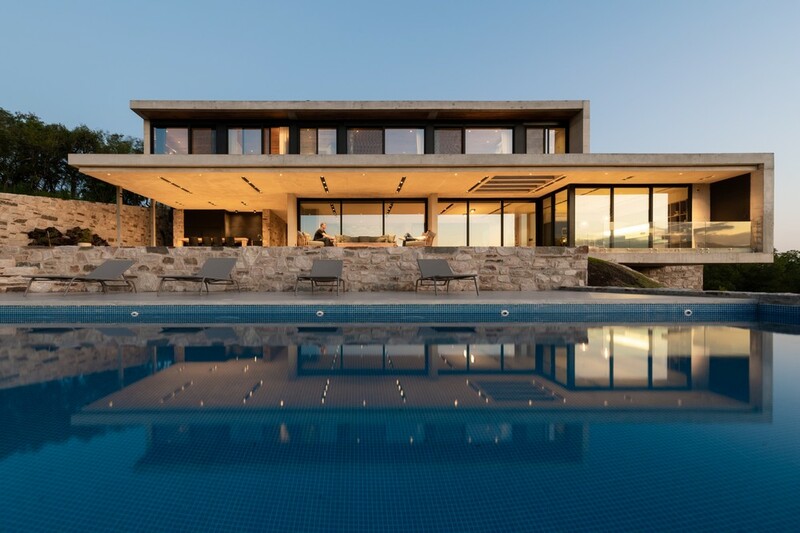 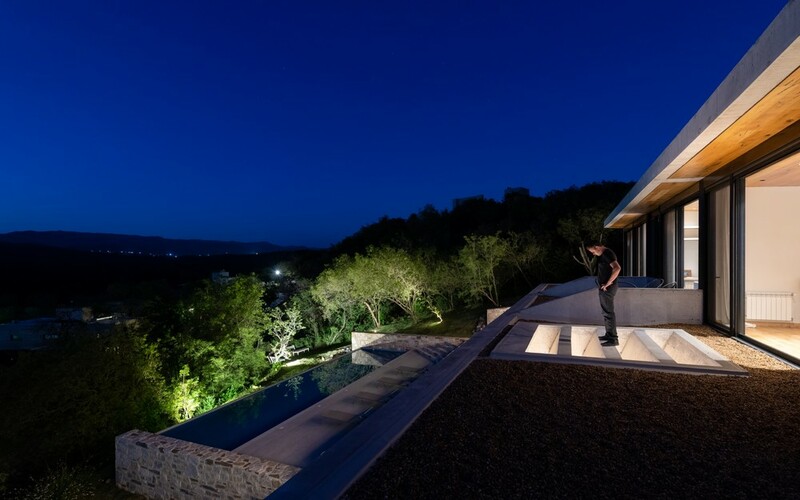 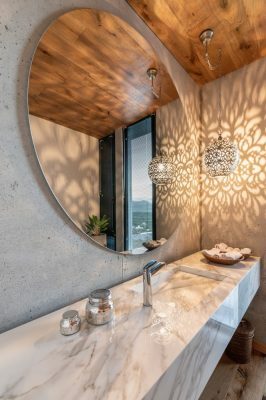 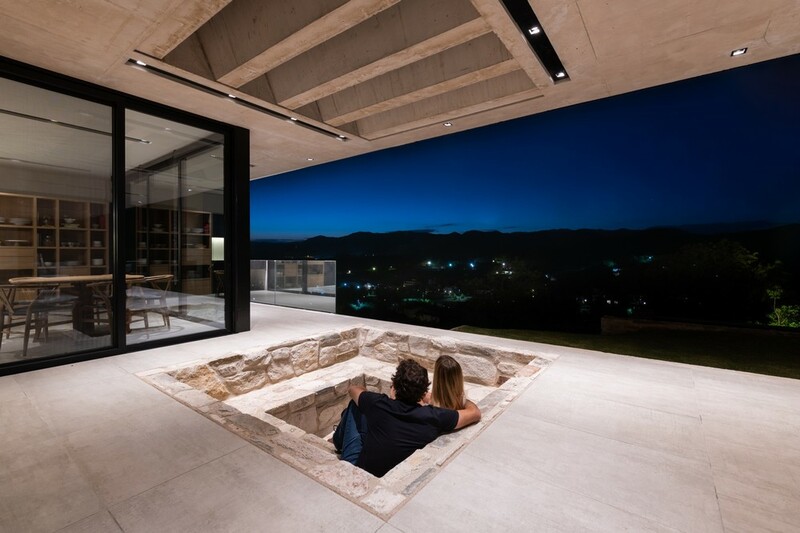 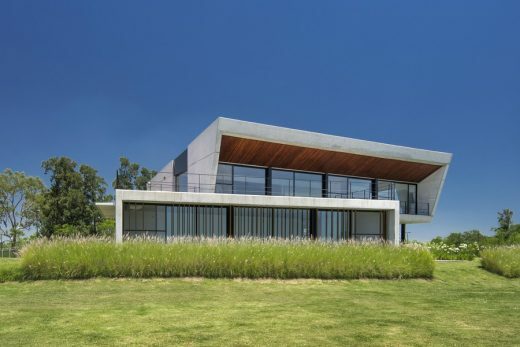 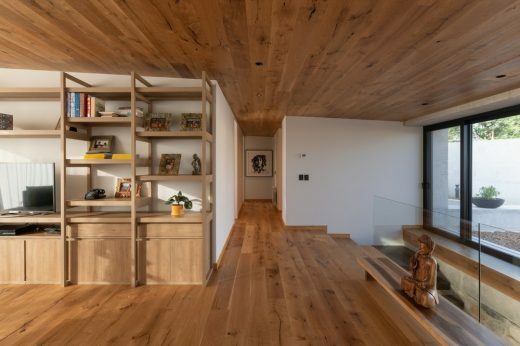 The dwelling is implanted in a privileged landscape, with gorgeous visuals to the Small mountain ranges of the Punilla Valley, in a private neighborhood at the Northwest of Córdoba, in Mendiolaza City. 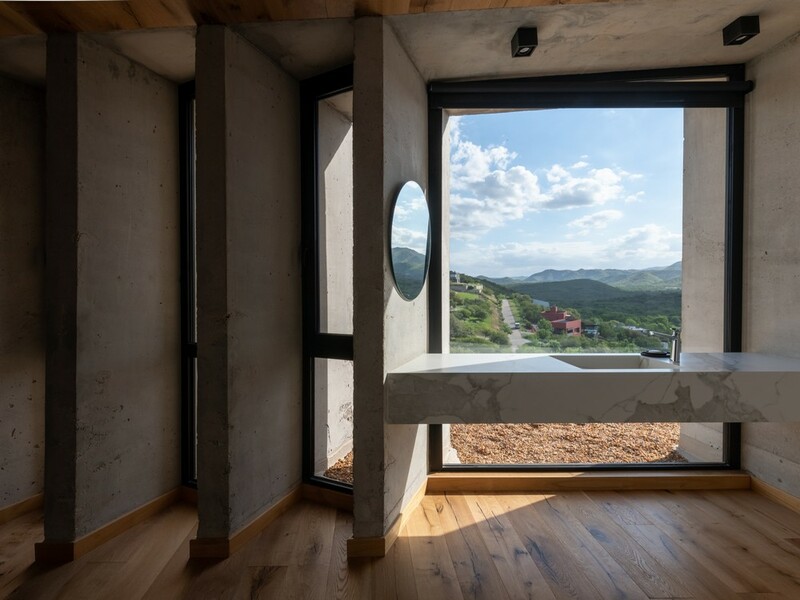 It presents a rugged topography, with large height differences that allowed us to play with two big volumes supported one over the other one, restinguponthe natural terrain. 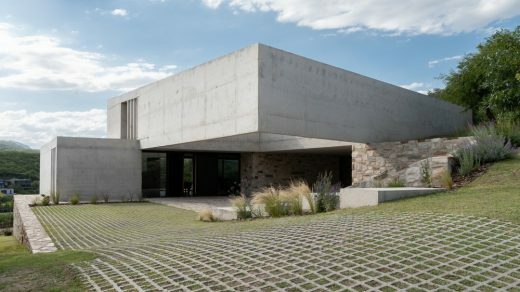 This situation generates large overhangs, reinforcing the idea of monolithic volumes. 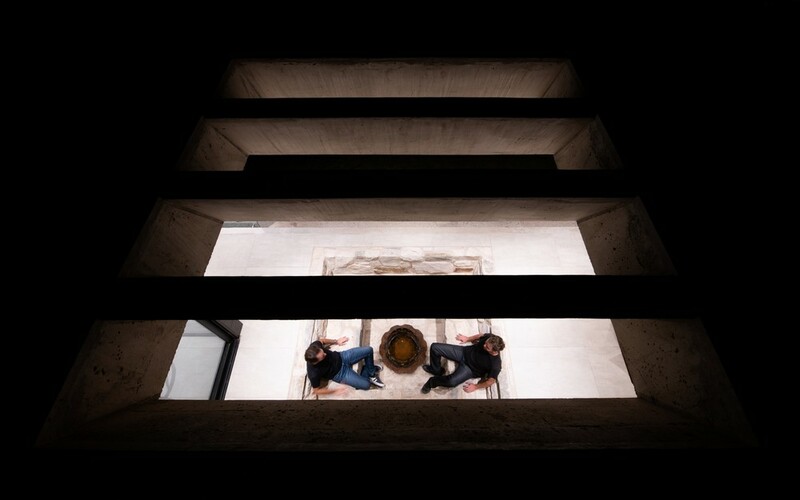 bp.arquitectura materialize the concept with concrete seen cast on site in a phenolic formwork. 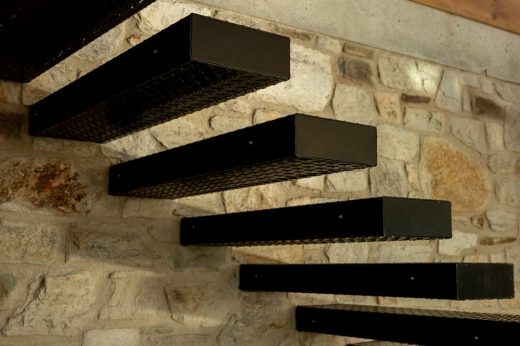 This material is noble, classic, traditional and low maintenance, the same as the stone that was used to erect the retaining walls and the house basement. 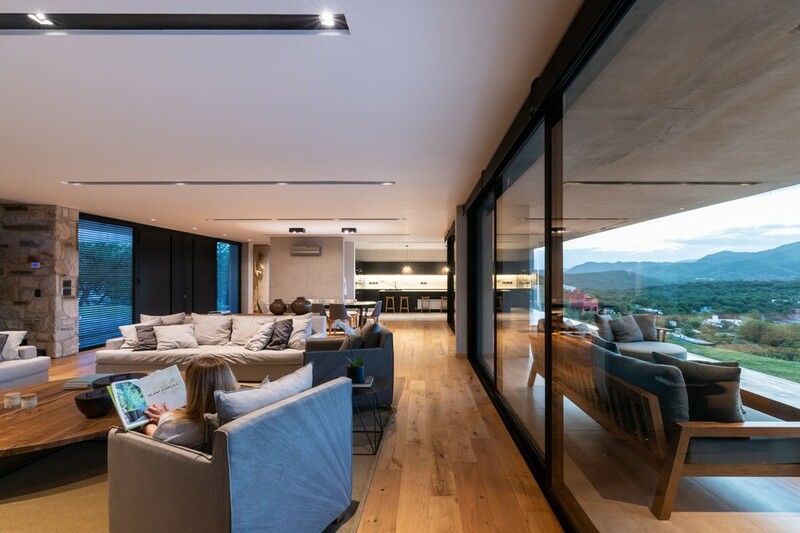 Through the visuals we looked for the connection between the construction and the landscape, generating large glazed surfaces and connecting the great gallery and terraces with public and private rooms. 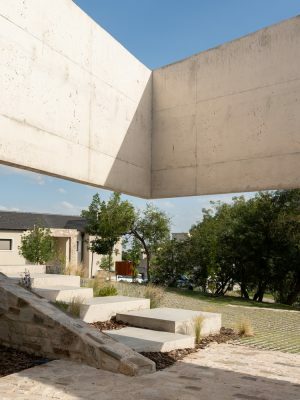 On the other hand, we achieved the privacy by using large concret screens with leading role that cloister the terrace and ventilation playground, accessible only from private areas. 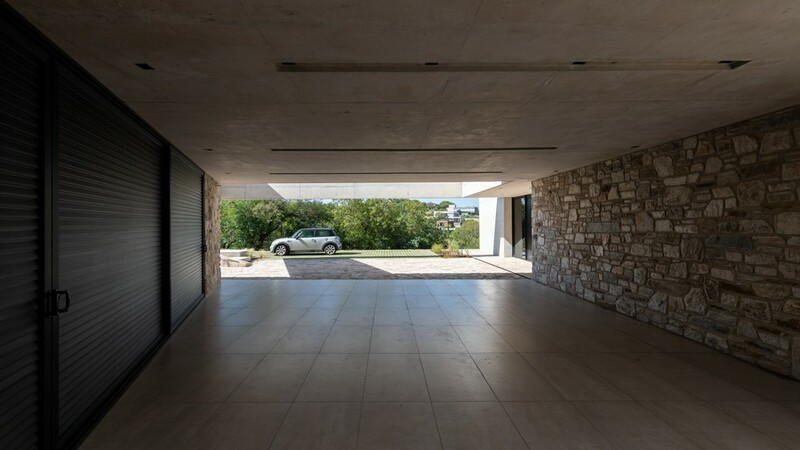 Thanks to the volumes and the level differences, we placed the garage and game rooms in a visually guarded place. 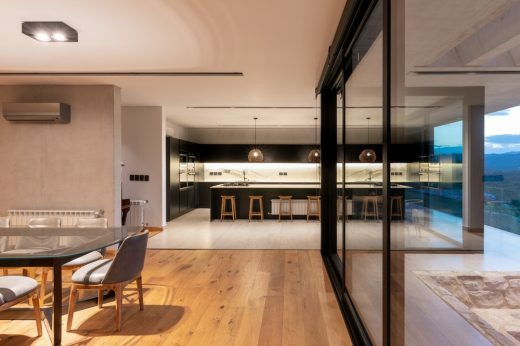 In the lower cage are located the social functions: the main income, kitchen dining, pantry, digging, dining room, living room, toilet, gallery, grill, garage, laundry room, service bedroom and service income. In theuppercage are locatedtheprivatespaces: living room, master bedroom suite, secondarybedroom suite, zonedbathroom and two more bedrooms. Finally, we present two big terraces; one of them accessible from the bedrooms and livingroom, with views to the mountain, and the other one is a cloister patio placed over the garage, accesible from the private living room, which works as an articulator between both outside areas. 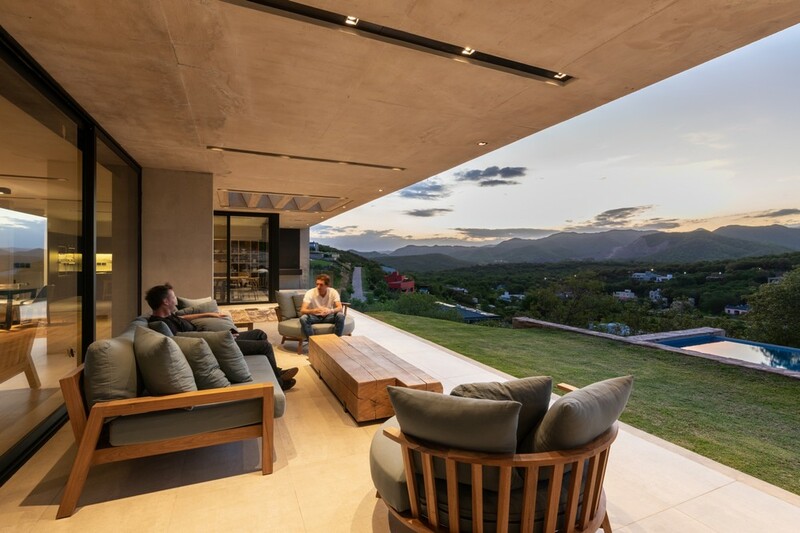 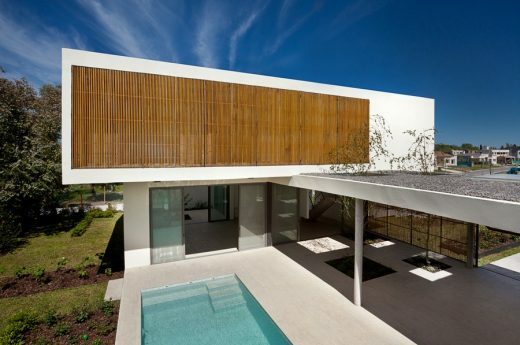 The relationship between architecture language and house function is what triggered the original concept of the house, nature and the immediate environment always as the main source of inspiration.